If you have for the top rated laminate flooring for your home, you will want to ensure that you lay it properly. 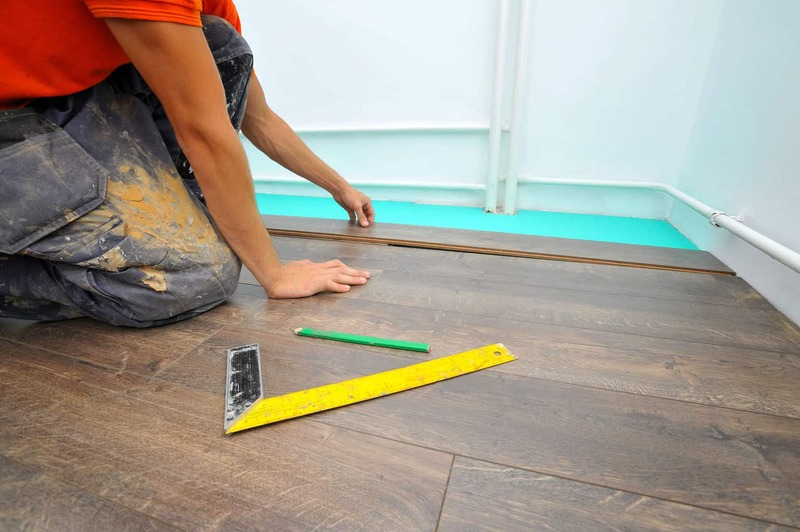 Although laying laminate flooring is a relatively straight forward job, if you are unsure if your DIY skills are up to scratch, you should seek advice from a flooring specialist. Below is an easy 7 step guide to laying laminate flooring in your home. Before you start laying the laminate flooring, it is extremely important that you allow the pieces of laminate flooring to acclimatise. To do this, you should place the pieces of laminate in the room you plan to lay them at least 48 hours before you begin work. This will allow the laminate to acclimatise to the ambient temperature and any moisture in the room. Changes in temperature and humidity can cause laminate flooring to expand and contract. If you lay laminate flooring before it has had the chance to acclimatise to local conditions in the room, you may find that it begins to warp out of shape. You should also ensure that the floor surface has been throughly cleared of any debris and dust. If any debris or dust is left on the floor, it could create an uneven surface. One problem people often face is working out how much laminate flooring they will need to cover the floor space. To do this, you should measure the squared area of the floor. To calculate the squared area, you simply need to measure the width and the length of the room. Multiplying these two measurements will give you the squared area of the room. Once you have this number you can compare it the packs of laminate flooring. Each pack of laminate flooring will list details of the individual board sizes and the overall area which can be covered by the pack. You should divide the number on the pack by the squared area to establish how many packs of laminate flooring you will require to completely cover the room’s floor area. 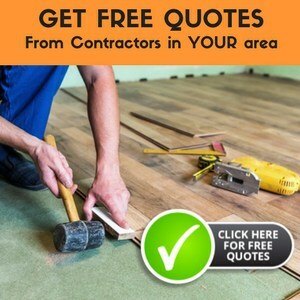 You should purchase an extra pack or two of laminate flooring to cover yourself in case you make any error when calculating how much material you will need or if there is a problem during the laying process. Doing this will help to stop your DIY project being held up while you go out to buy more packs of laminate boards. You will not need to mark out where ever piece of laminate flooring will be placed. However, you should take the time to determine and mark out exactly where you will place the first row. The first row of laminate flooring that you lay will act as a guide for all of the subsequent pieces you put down. Therefore, if you make an error with the first row, you could find that the laminate flooring does not fit further across the room. If this occurs, you will need to start again which can be very time consuming. You should begin laying the flooring in the lightest part of the room, as this will allow you to clearly see what you are doing. Lay a trial section of flooring, placing spacers between the skirting boards and the laminate. The trial section will allow you to easily establish how much you need to trim from the end of one of the laminate pieces in order to get the row to fit flush with the wall. 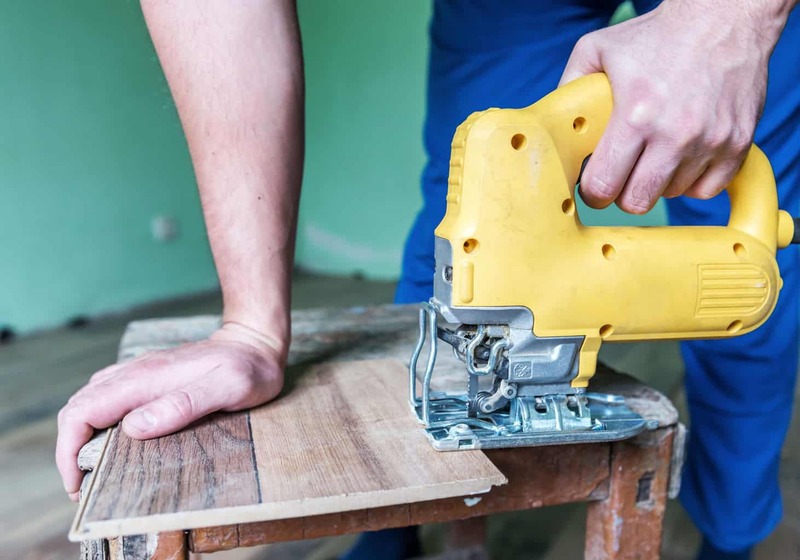 You should try to avoid a situation in which you need to cut more than 50 percent of a board, as this could compromise the strength of the floor. 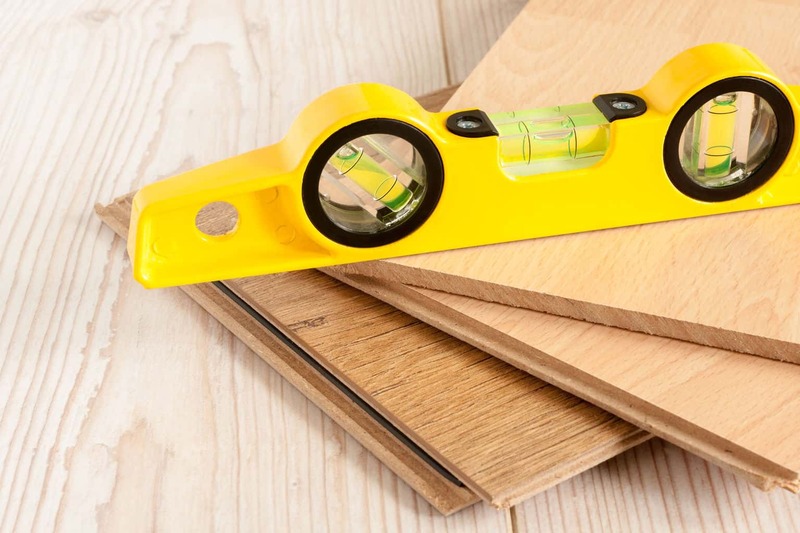 Before you start laying the underlay, you should make sure that the spacers are in place and that the rolls are being played at a 90 degree angle to the position of the laminate boards. Doing this will prevent the seams between the sections of underlay from lining up with joints between the pieces of laminate. As you place the underlay on the floor, you should make sure that there isn’t any space or overlapping between the different sections, as this could cause the laminate flooring to sink or raise up. You should tape down any joints in order to keep them in place. Your aim is to create a level and consistent surface. Once the underlay is in place, you can finally begin to lay the laminate flooring. You should carefully follow the layout which you established during the trial in step 3 when laying the laminate flooring, remembering to always place the spaces between the floor sections and the skirting board to create an expansion space. 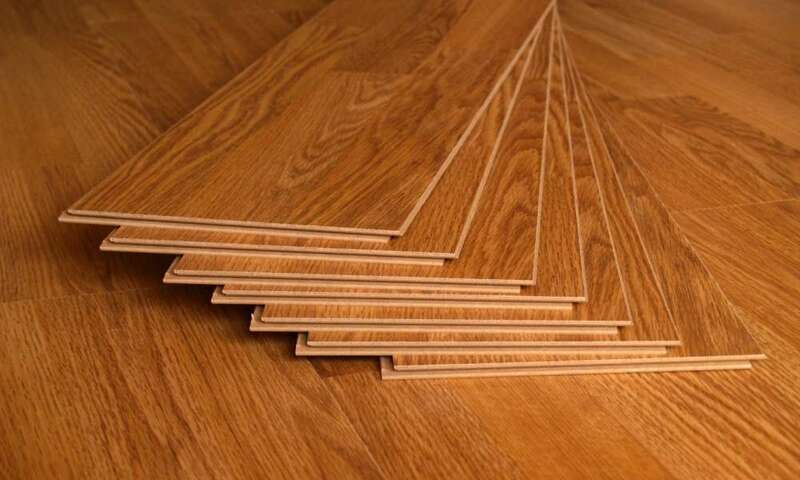 If you are installing tongue and groove laminate flooring, you should hold each new board at a 45 degree angle to the previous section before gently lowering the board until it clicks into place. The freshly laid board should now sit flush with one another. If the boards are not flush, you should use the beating block and pulling bar to gently encourage each section into place. When you need to cut the end board, you should use the set square to mark up a cutting line before cutting the board using the laminate cutter. Remember to wear your safety glasses to protect your eyes during the cutting process. Once you have finished laying the floor, you should leave it to settle in for around 48 hours before you add finishing touches such as trims, transition bars and scotias. Doing so will give the new laminate flooring the chance to acclimatise to the room. If you are still looking for a top rated laminate flooring panels, you should visit a flooring specialist today. When it comes to renovating your home, we have entered an age where ‘doing it yourself’ is much more common than hiring someone. That being said, not every project is as easy as others. If you are thinking of putting down laminate in a room in your home, you will be happy to hear that learning how to lay a laminate floor is much easier than some other projects. I have put together a step by step process for installing laminate flooring in whatever room you choose. Not only is it an easy installation option, it is a frugal choice for anyone on a budget and it only takes about a day to finish it. 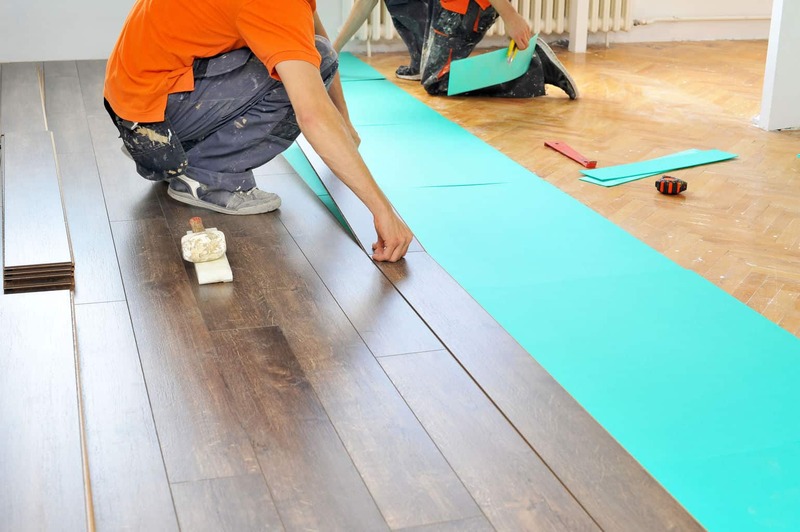 Once you have prepped the room by removing whatever old flooring there was, you should remove the baseboards from the room in order to begin laying the laminate. With the baseboards removed, you can then make sure that your floor is level. 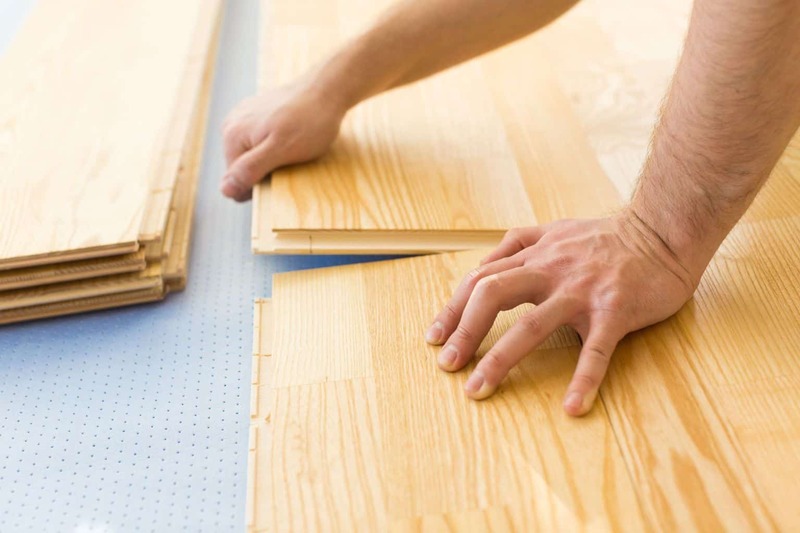 Leveling your floor will ensure that the flooring will install correctly. When the floor is adequately level, you need to make sure it is clean. Floors adjust in different temperatures. Because of this you should allow your flooring to sit in the room for a few days before doing anything with it. This ensures that it will be properly acclimated. You need to do the math to determine how many boards you will need to fill the room. This will also help you determine how wide your last row will need to be cut in order to fit right. To prepare your door frames, you merely need to cut under the frames anywhere that you won’t be able to use show molding. The underlayment has be placed down before you can begin laying the laminate. To do this, you simply have to follow the instructions that come with the underlayment. 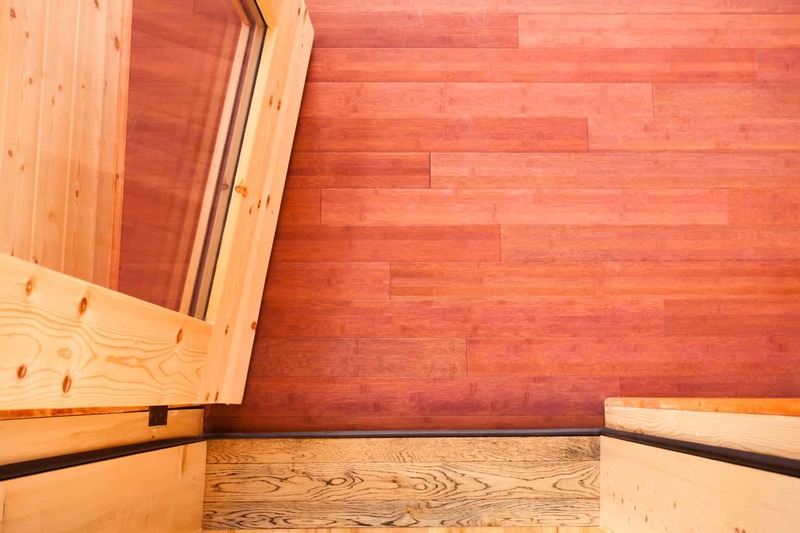 Often times floating floors can expand or contract, thus it is best to take a piece of spare flooring and place it against the wall vertically in order to help create a gap. The first cut should be made on the underside of the last board. Use a square and your other full piece in order to make them even. Use a small saw in order to cut the line. Once you have every piece for the first row ready, you need to assemble them. This should be rather simple, as you only need to push the grooves together. Make sure your pressure is even when you are putting them together. The less evenness you have when connecting them, the weaker the joint will be. Getting to doorways can be a little tricky, but you just need to measure the board so that it will fit underneath the trim of the doorway. Notch the board to the correct measurement using a jigsaw or table saw then just slide it underneath the door. When you go to join your next piece of laminate you should make sure that your long edge isn’t too loose, it should be decently tight, and your short edge shouldn’t be overlapping. To ensure that your boards are adequately attached you should rock the board into position by hitting a spare piece with a hammer or mallet. Depending on your board’s thickness you might need to continue this down the board’s length. As you are installing, be sure that it is in a pyramid pattern so that you are sure the floor will be straight when it is complete. When you get close to the wall you should use a pull bar to help you close up the small gap. If you are installing your floor against a baseboard that is already there, make sure your gap is a bit smaller, somewhere around 1/2” so that you are sure the shoe mold will cover it. It can be a bit tricky to work with a doorway’s leading edge. Most choose to simply install the flooring for a closet and your actual floor separately to make it easier. Make your cuts to fit the space then work the necessary pieces underneath the trim of the door. Once you have completed all of the above steps, your last step would be to re-install your baseboards and show molding. Don’t be intimidated by the amount of steps. Anyone can complete this project with the proper tools. 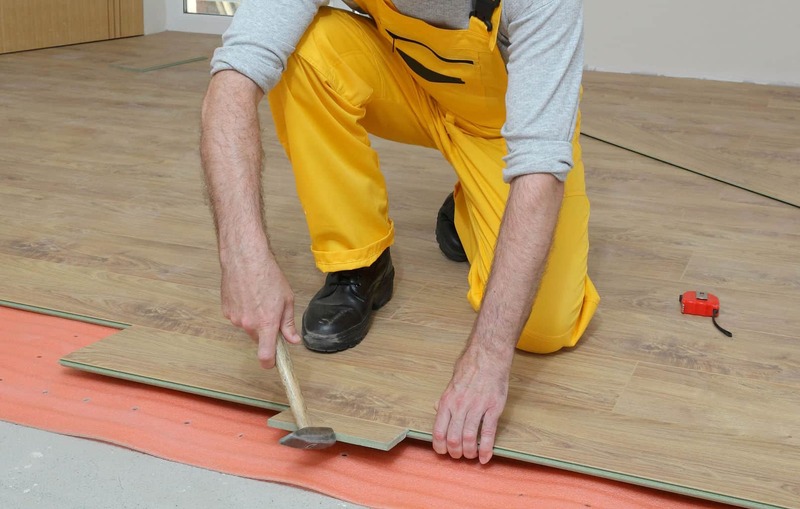 With the proper preparation, you will soon know how to lay a laminate floor. In the end you’ll have an incredible laminate floor that will cost you a fraction of what most floors cost. If you’re looking for the next home project, this is certainly one to consider.